I am the soft petal of a lotus, a flower growing out of the swamp of the void becoming the seed of humanity. I am a space holder of the ages, here to bring back the beauty of a new dawn and time. 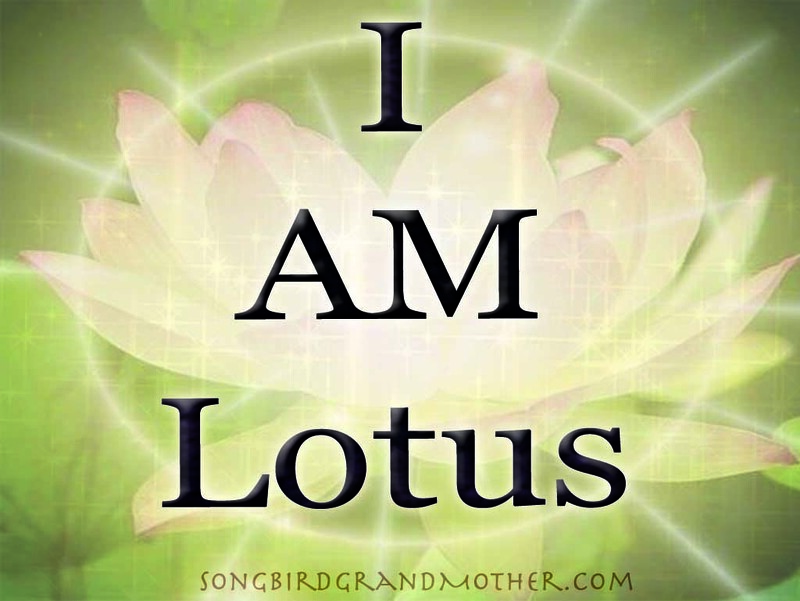 I AM the lotus. White and pure, strong and vulnerable, fragrant and wise. I AM a peace keeper, loving and firm, sweet and unwavering. I AM the essence of all life, and from me I birth new creativity and joy in life. I AM like the hummingbird flying around careless and free, spreading my sweet nectar into this life around me. I AM the love within and the love without. A gentle and sweet reminder to live in the now. I AM the truth of life. I bring forth and call in the energies of truth and justice. I allow both to exist and where there is non-truth, I blow open the door. I AM here to shine, to bring light into the dark, and to rebalance justice in a stone cold world. I AM light, I AM grace, I am Goddess. I AM. Beautiful. Truth. Love. Grace. Beauty.